Oh my. 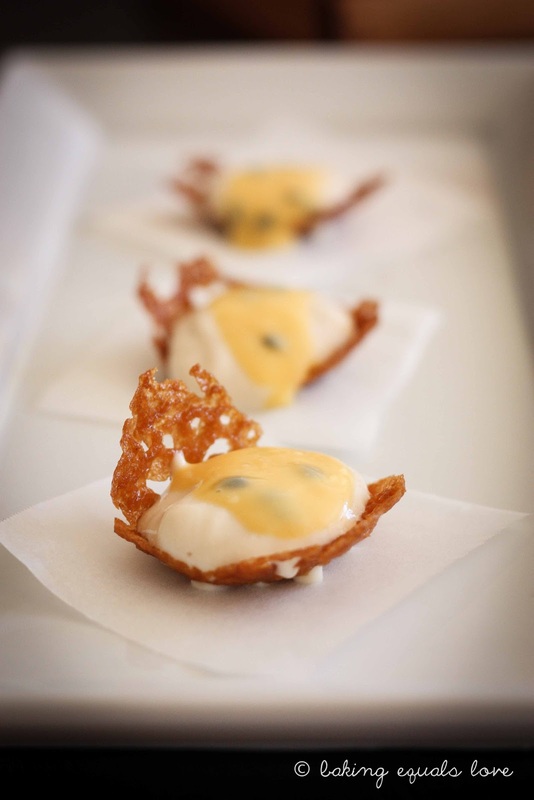 The baby brandy baskets with lemon cream and homemade passionfruit curd make me swoon. How many do you allocate per person? These look spectacular! What's inside the pink eclairs? Custard? Thank you!! It was my very first choux experience. Inside was a cheat's oh-so-easy creme patisserie (pastry cream). YUM! how good do all of those look?! 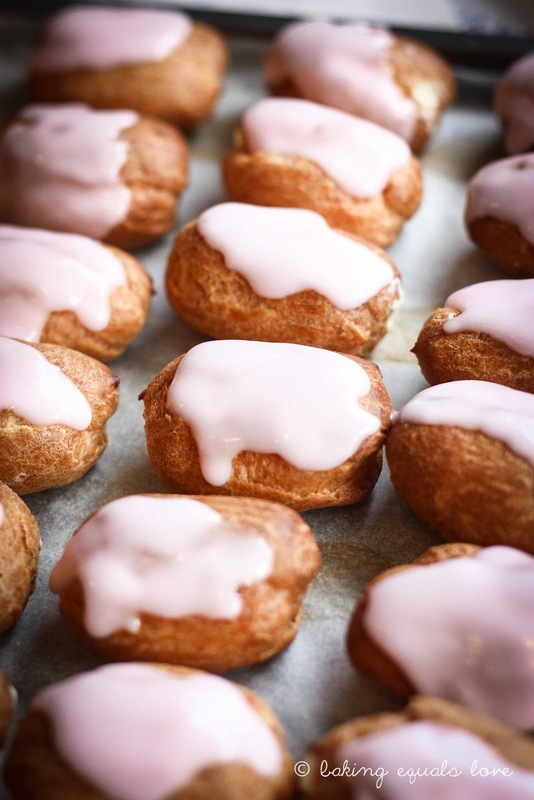 the pink eclairs are gorgeous. i haven't made choux for a while but i remember it was fairly easy. very girly and lovely. OMG can't wait for the Brandy basket post! Good Luck with your exams - I hope you knock them out of the park.